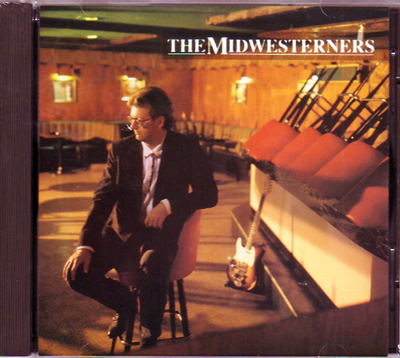 The Midwesterners debut CD in 1991. Here the band has come up with a sound that combines roots rock and country, rockabilly and blues, that defines americana. The music covers all the bases from jukin' to chooglin' and all points in between! The CD was co-produced by Richard Wiegel and Mike Hoffmann (Spanic Boys, Bad Haggis), and Mike also performed and sang on the CD. Also appearing were Dennis Reifsteck on upright bass, and Mark Haines on drums, with help from Tom LaVarda, Rick Becker, John Chimes, and Bob Jennings.